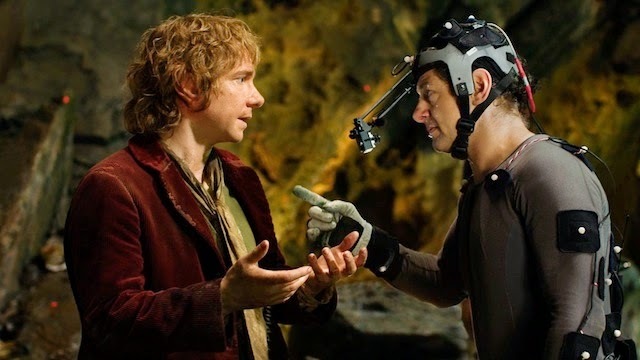 I spent a large portion of the first week of Easter holidays watching the behind the scenes of The Hobbit: An Unexpected Journey. As well as immersing myself with the accents of the Kiwi cast and crew I was getting an insight into my favourite part of films, the making of them. 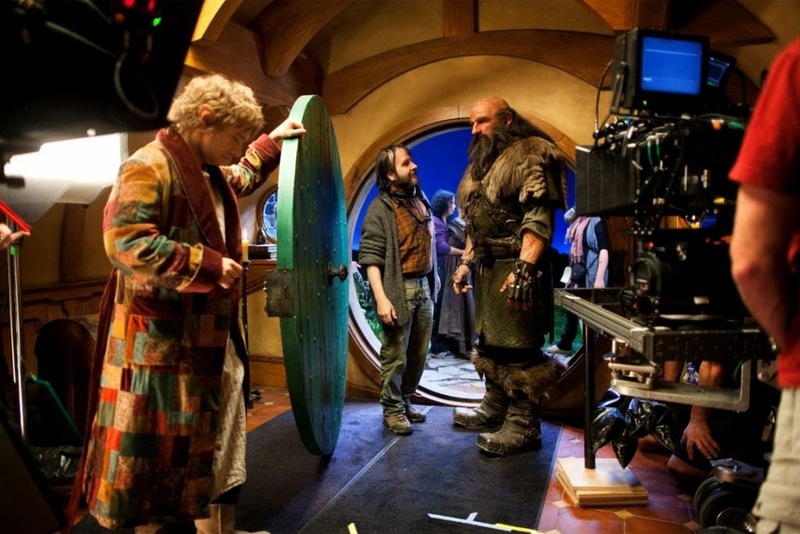 While watching the footage (which was easily over six hours of cast interviews, footage of production, training etc) I realized the huge extent of the work that goes into pre-production and the hard work that the make up artists, camera people, assistant director etc had to carry out to facilitate the 266 day shoot. It was fascinating. I've had a avid interest in film since I was about fourteen. First it was acting. I idolized Irish actress Saoirse Ronan. I attended drama classes every week and devoured articles on acting. Five years later I'm still a massive fan of Saoirse's but I've found myself becoming more interested in the making of films, the camera work, editing. Last year I attended a film course in Kilkenny called "Young Irish Film Makers". I went with my friend Maeve and I absolutely loved it. I acted (badly) in a short film in which I ate a doughnut and stained my lips, fingers and mouth with "movie blood". That was the uncomfortable side of it. I enjoyed getting close to the all the equipment, cameras, tripods, SD cards and I can still remember one of the girls calling out the familiar sentences "Quiet on set. Roll camera. Sound. Action!" I don't know where or why I caught the "film bug" so to speak. I've been performing in little variety shows since I was eight, shows that consisted of dancing to Michael Jackson's "Thriller", doing little plays with my sister on wanting a bike for my birthday, dancing as a milk woman to John Lennon's "Imagine" and "Joseph and the Amazing Technicolour Dream Coat". But nowadays I can't watch a film without wondering how a certain shot was attained, what was the film's budget, where the locations for the film were, the casting process, the special effects. I generally don't buy a DVD if it doesn't include special features. The majority of the people I follow on Twitter have some involvement in either the Irish film industry or the International film industry. 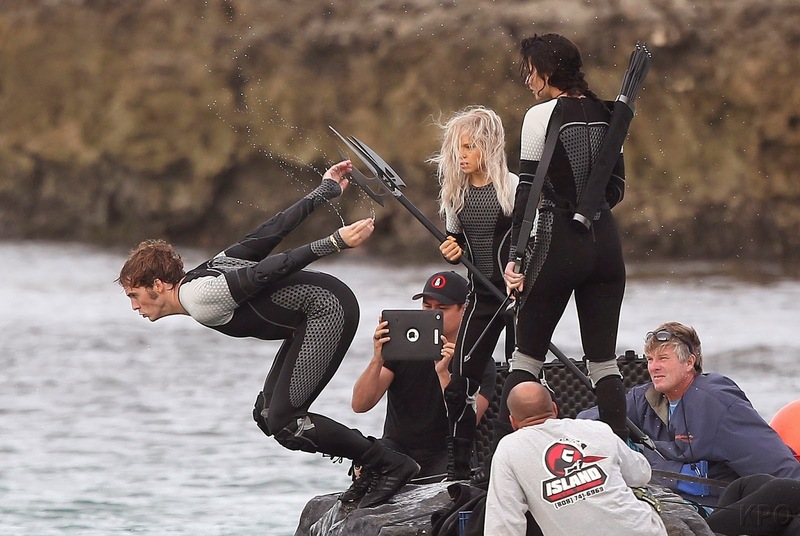 Sam Claflin "Finnick Odair", Jennifer Lawrence "Katniss Everdeen"
I know how hard it is to get into the film industry. You need connections, sadly I don't have any, but if I've learned anything about film making it's that to be a film maker you have GOT to make films. To start out small, making films on whatever you have, a phone, a video camera, proper film equipment. To enjoy it and get friends and family involved. That practice makes perfect. Stephen Spielberg, Wes Anderson and Peter Jackson for example didn't become multi-millionaire directors overnight. They started out small too, everyone has to start out somewhere. Maybe someday I'll be starring in a film, or working behind the camera, who knows? I've got high hopes and my fingers crossed tightly! The first step is picking up a camera, writing your own scripts and definitely entering competitions because who knows, maybe a well known director or actor will come across your work and see potential! I think the key is to get you and your work out there. I have a great book called "The Digital Film Making Handbook" it's great, easy to understand and gives tips to both beginners and pros. Do your research on equipment, there's definitely no point in buying a really expensive complicated camera if you are only starting out or buying from a faulty, unreliable brand of film equipment. Saoirse Ronan filming "Brooklyn" April 2014. There's something so exciting about film making. While reading books is something I could spend hours doing, it's not as breathtaking as watching a story unfold in front of your eyes. You can see places you've never been to, see places that don't even exist, watch stories you've grown up with play out before your eyes. Film is endless, there are so many genres out there to suit all tastes and age groups.Films make you cry, laugh and scream. Films bring people together, they can promote different issues, they can tell a story about someone's life. 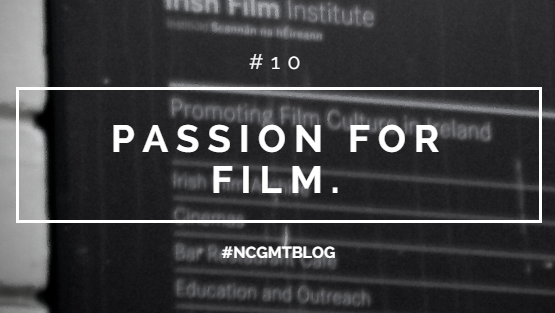 I also love promoting any Irish people starting out and trying to getting involved in the Irish film industry. I've always said this but Ireland as a country needs to churn out more of our talent into the film industry. The talent is there, we just to promote it. It's great to think that Ireland's film industry's profits are increasing, and that more and more productions are being made here eg: History's "Vikings" and at the moment Saoirse Ronan and Domhnall Gleeson are filming "Brooklyn" Colm Toibín's novel in Enniscorthy Co Wexford and Dublin. That's what young Irish people should do. Promote the country, make films here, make films in the first place. Ireland is a beautiful country, we have so much to offer to international companies. While we don't have the multi-million budgets that Hollywood blockbusters have, we have an endless amount of intelligent, passionate Irish people who have talent in all fields of film making and are just waiting for the chance to express themselves. I know that we had "The Gathering" last year but I think it's time that we as a people started enticing foreign productions and local productions to film in Ireland. If you are in the position to get in contact with internationally known film directors, producers and actors tell them about us. Whether it be a large scale production or a ten minute short film it would be fantastic to have different projects going on through out the country. We should do our best to compete. Sometimes even home grown Irish films can be better than the latest blockbuster, as they've been created with passion, intelligence and skill by Irish people! This is why I'm so excited for this summer. I want to make a film, short or long, who knows? But it's an aim of mine. The world is at my fingertips, inspiration is all around me, all I need is time, motivation and dedication. Wish me luck! 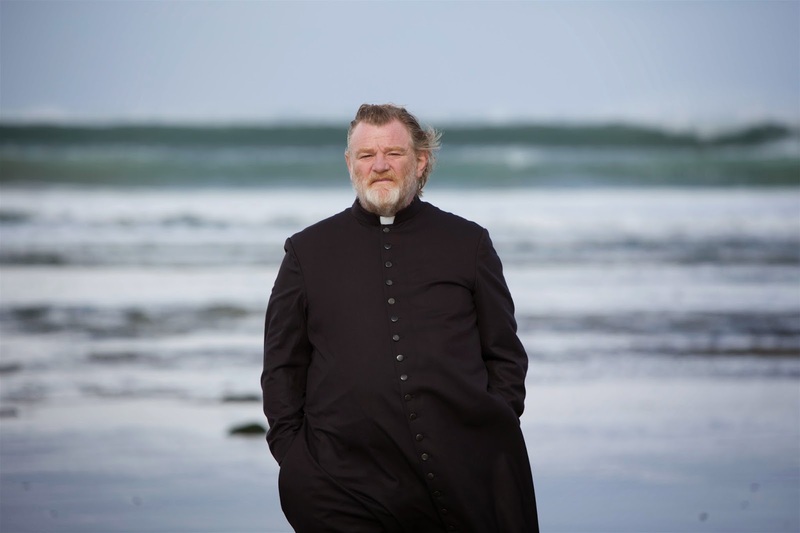 Highly acclaimed Irish film "Calvary" - Brendan Gleeson "Father James"
Thanks so much for reading, I could talk about this topic for hours and hours. And if you're making a film in Ireland during the summer I'd love to help out. Let me know! Support Irish film! 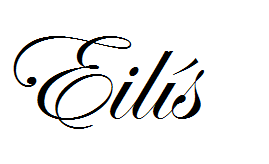 Please follow me on Twitter, where you can see when I post next.